Those with macular degeneration often struggle with vision loss or the fear of losing their vision in the sometime distant future. Of course it's not just the vision loss that is so disturbing it's the loss of activities and independence associated with it - such as identifying the face of a friend, picking out food at the grocery store or baking chocolate chip cookies for the family. What if despite your vision loss you could still do many of the things you did when you had healthy vision? Such as pick out your friend at a restaurant, find your favorite box of cereal on the grocery shelf, or get out all the needed ingredients to make chocolate chip cookies? All these things and more are indeed possible with a new device that some call "talking glasses." 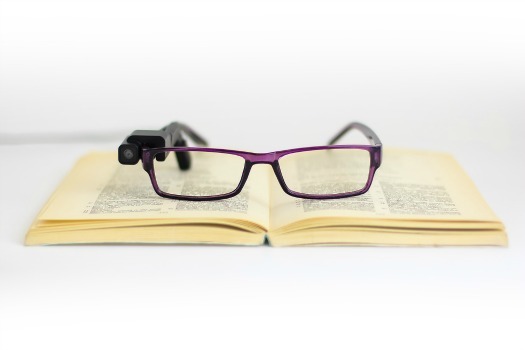 This low vision assistive device can be mounted on any prescription glasses. It works by translating visual information into audio.